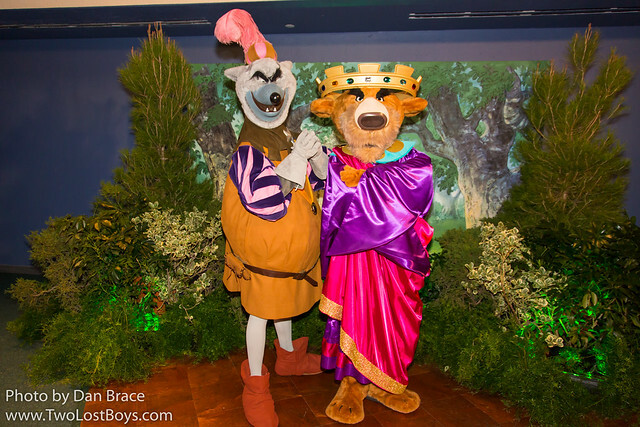 Yesterday the Disney Parks Blog (DPB) made a surprise announcement about an upcoming event at the Disneyland Resort. From May 27th - the day that the new Guardians of the Galaxy attraction opens at Disney California Adventure - until September 10th, the park will present the Summer of Heroes. As always, the language of these things is a little vague, so let's pull apart what they're really saying here. First of all, it sounds like there will be a new permanent entertainment offering that may or may not star Star-Lord and Gamora. It would would be really awesome if they did appear, but the wording is so vague, that it literally could mean that the characters are "hosting" the event, but they won't necessarily be appearing. While it is unclear as to what this offering entails exactly, it sounds very much like a dance party, akin to the previous nighttime events held in Disney California Adventure, such as Mad T Party, ElecTRONica and Glow Fest. It should be noted that Star-Lord and Gamora previously debuted at a private event at the Magic Kingdom last year. Second, as well as confirming that Captain America and Spider-Man will be remaining in the park for the foreseeable future, Groot will be making new, regular appearances, too! This will mark the first time that Groot will have featured as a character at a Disney park. So, those are the permanent fixtures. The Summer of Heroes will also feature some temporary offerings. First is what sounds like basically a Marvel version of Jedi Training, with Hawkeye and Black Widow. It is really unfortunate that Disney continue to exclude adult fans from meeting some of the best Marvel characters, much like they did late last year when they did something similar with Dr Strange at Disney's Hollywood Studios. That caused quite a stir with fans and it is a wonder that they have decided to do something like this again. Of course, they try to appease the adult fan base by then proceeding to mention that Black Widow will ride around in a tank several times per day. Once again, they provide no details as to whether she will greet fans, but I wouldn't hold my breath. It should be noted that Hawkeye and Black Widow have previously appeared at a few runDisney events at the resort. Despite my criticism and cynicism over their handling of characters and whether everyone can meet them, it will be "super" cool to finally see some more Marvel heroes in the park. A couple of days ago the DPB also announced a separate event for Disneyland park, this time themed to Beauty and the Beast, due to the upcoming live action movie release. The header image that they use is of Belle in the park, but of course the event that they describe doesn't actually mention meeting Belle at all. While Belle is a fairly regular character in Fantasyland at Disneyland, it would be nice if they had a dedicated meet and greet for her during the movie's run. They do however confirm that Gaston will make appearances in Fantasyland, I suppose making him more "permanent" (at least for the duration of the event), despite the fact he does currently appear randomly there anyway. They also mention the current, ongoing, Beauty and the Beast show at the Royal Theatre, which Belle does usually feature in. While this isn't a new show, I suppose it confirms that it will continue for a while longer, at least. Of course, in their typical fashion, the DPB offer no dates at this time, though with the movie coming out next month, it must be really soon. Last week the DPB also surprised everyone with the news that the Magic Kingdom would be getting a brand new fireworks spectacular from May 12th. Happily Ever After will replace the long running Wishes, which has run for 14 years at the park (fourteen!). Wishes currently stars everyone's favourite fairy, Tinker Bell, but of course, the DPB didn't mention her fate in the main post. However, fans asked in the comments, and DPB writer Jennifer Fickley-Baker replied, confirming that Tinker Bell would indeed return for the new show. 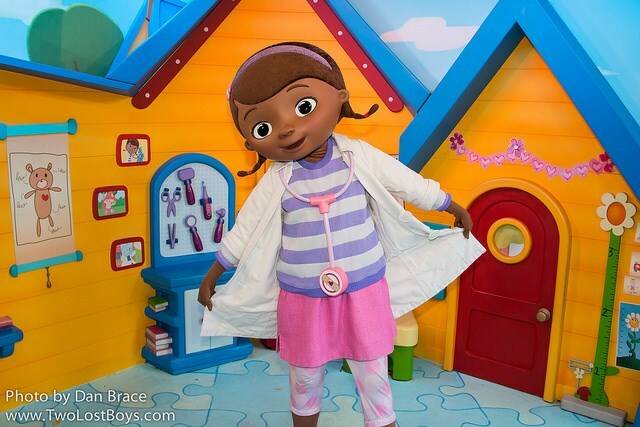 Before I wrap up, the DPB announced that Doc McStuffins, from her namesake TV show on Disney Jr, would start making appearances at Rafiki's Planet Watch in Animal Kingdom, in addition to her current appearances at Disney's Hollywood Studios. Starting "later this month" (again with the non-dates) it is expected amongst fans that she will probably replace Chip and Dale there, sadly (while that isn't confirmed yet, it would certainly seem likely). Finally, AP Days Winter 2017 begun last week at Disneyland, and Jon and I were there for the opening of it. The event coincides with the final homecoming for the Main Street Electrical Parade (running through June 18th), and features special character greetings just for AP holders. 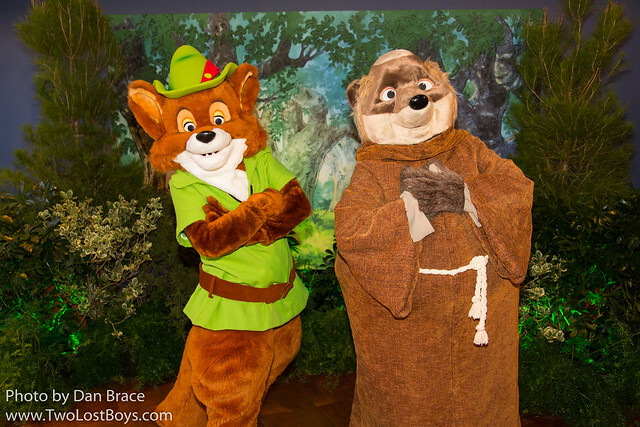 We got to meet Robin Hood, Friar Tuck, Prince John and the Sheriff of Nottingham, which was pretty neat. I plan to make a full report on our trip, later today - so look out for that! Ok, that's everything for now. Have a great day everyone.